I had favorites in July. But I didn't write about them. What the heck??? But these are some of my favorites for August. a talented blog friend whom I met on line. So I reached out to her to see if she made them. If you don't follow her blog you should. It is called Laws of Gravity She made me my dishcloths and I am in love with them. She also has an Etsy shop called Zizi Rho Designs. I bought one of her adorable lip balm key chains for Harley last year so she could attach her lip balm to her book bag. She is still using it now in college. Might need to replace it soon. It is looking a bit ratty. I also got the cutest little salt grinder and love having it sit on my counter, by the stove. 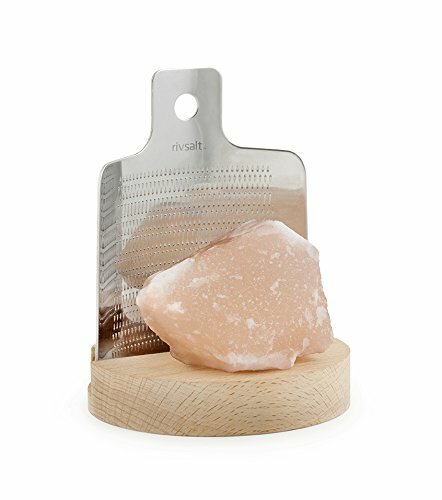 It is called the Kikkerland Rivsalt Grater Set. I will link you to Amazon to see it. Mine has the pink Himalayan Salt and I love using it. So cute. Have I talked about my new Bible? 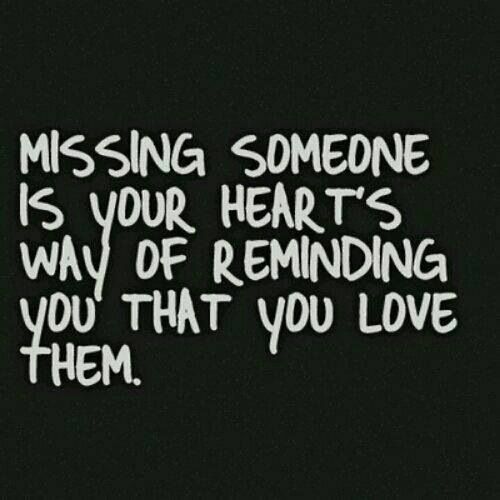 I don't think I have but I am pretty forgetful. I ordered it from Amazon too. As you know, I love adult coloring. And this is so beautiful. 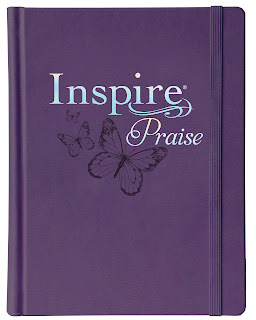 It is called the Inspire Praise Bible. It is the NLT edition. 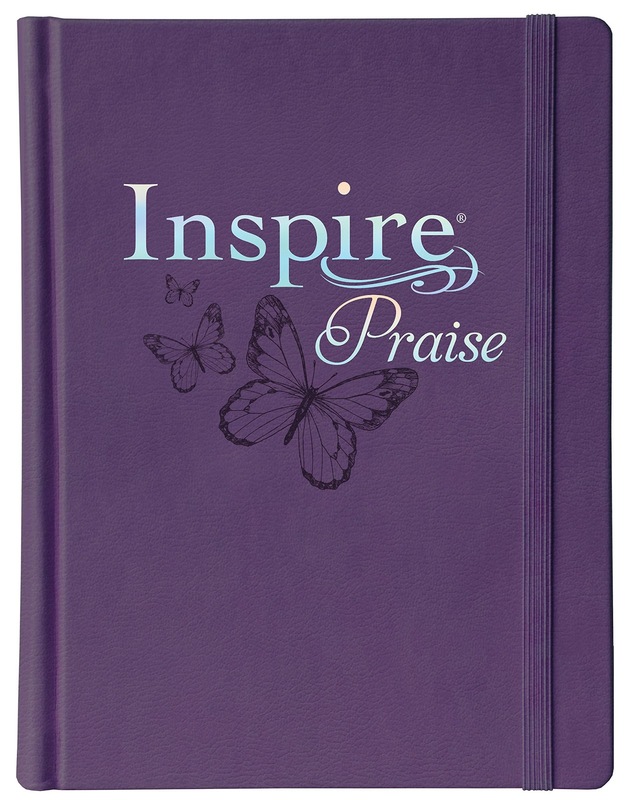 You can do Bible journaling as well because there are blank, lined, pages as well as the ones that can be colored. I find coloring to be very relaxing. I participated in an online Bible Study with a nice group of ladies. It lasted 6 weeks and was so fun. This is the book we used and it was amazing. It really links the entire Bible in a 'seamless' manner. Angie Smith is a fabulous author. She makes reading fun. I used some of her You Tube sessions along with the study. Have you ever done any personal Bible studies on your own. I would love to hear about them. Right now I am reading Angie's book What Women Fear.I'm enjoying it as well. 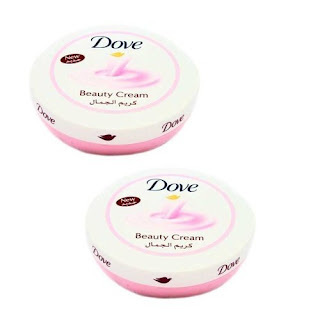 Have you ever used (and loved) Dove soap. I used to always use it to wash my face. But it leaves a lot of soap scum in the shower so I stopped using it. 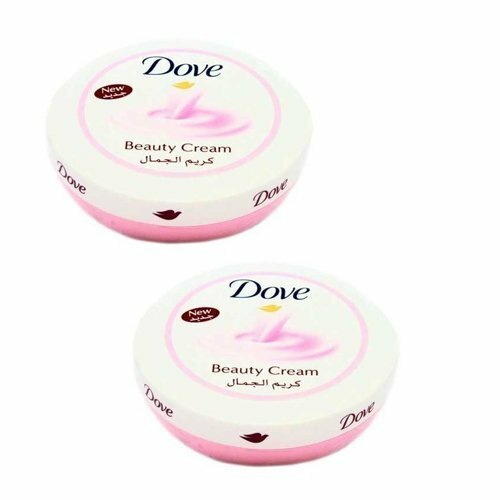 Recently I found Dove Beauty cream at Dollar Tree (you know this is my favorite store). And I am in love with Dove all over again. This little tub of lotion is all I use on my face right now. And the smell is so fresh. Smells just like the bar soap. A new wine I tried this month is from the Barefoot brand is the Pink Rose. I think I might have tasted Rose years ago but had forgotten what it tasted like. It's not dry and not overly sweet. But right in the middle. It has sweet cherries and watermelon. Who would have thought. I'm not really a wine connoisseur. But I like to drink it. I've enjoyed a bottle (or so) of this. I also like their moscato and their sangrias. Yummy. I might be having a glass later today. I hope everyone is having a great summer. Mine has been pretty uneventful. I'll be catching you up with a "Currently" pretty soon. Tell me what are your favorites this month? I have absolutely loved living on one-dish meals this summer. And salads are always big on my list. The idea of this salad came from one of my favorite You-Tube friends, Christopher Allen. I used his basic idea and then doctored it up to suit me. This is the first time I have ever used the spice, curry, and I love it! can chickpeas, drained and rinsed. I have made this several times this summer and I LOVE it. I have gotten brave and used more curry powder each time. It is my new favorite spice. Christopher eats his in a tortilla wrap, but I just like mine in a dish. What do you think of curry powder? I've been listening to books on Audible this summer. Mostly when I am going to sleep at night. I just set the timer to go off in 30 minutes and listen away. 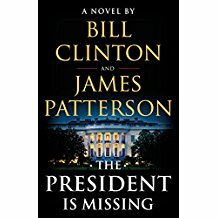 The President is Missing by James Patterson and Bill Clinton was one of those books. Talk about a couple of unlikely people getting together to write a book. It is a fictional thriller in which President Clinton collaborated to give the book authenticity. NO NATIONAL SECRETS WERE GIVEN AWAY. We've already seen these types of secrets on movies produced by Hollywood. But I am sure there will plenty of disparaging comments made. I, for one, love Bill Clinton. So nothing but praise here. The book is all about how the President and a select few heads of States and staff go about trying to keep this virus from affecting our country. The chapters are really short. That keeps it moving pretty fast. The Audible version had some questionable voices, but not a lot, so I managed to get through it. I liked the book. It wasn't a typical James Patterson book. Maybe that's why I liked it. Haha!. I give it a solid ***. That means it is a good story. It is also scary to think what a virus could do. Sure hope none of those Russians are reading. We are now into the end of the first week of August. I have no idea where the time goes. I would like to report that I am busy, busy, busy, and getting lots done. But that wouldn't be true. The weather here in Kansas has cooled a bit. It is only 88* right now. Clear blue skies but I understand it will cloud up later. And barely a breeze. My kind of summer day. I am pondering exactly what it will take to get me motivated again. Any suggestions? I'm game to hear all you have. Still watching Big Brother. 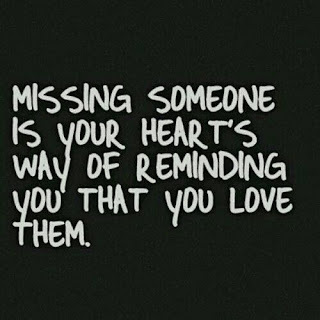 But I don't seem to have my heart in it this summer. It has been pretty clear to me from the very first week that CBS has chosen Tyler to be this year's winner. And I have simply lost interest. Lots of bullying inside that house too. And on the Internet about the show. And how about the news about Julie's husband?? Reading... I'm still reading The Woman In the Window by A.J. Finn. Not making much progress there either. You might start to notice a common theme here. I have been reading and learning about essential oils. 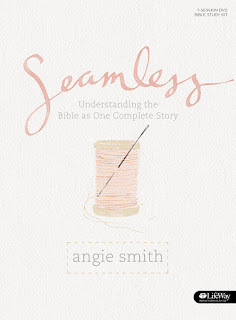 And the Bible Study Seamless by Angie Smith. So there's that. Listening....I'm listening to Justice Redeemed by Scott Pratt. It is the first of a trilogy of books about a lawyer. So far, so good. 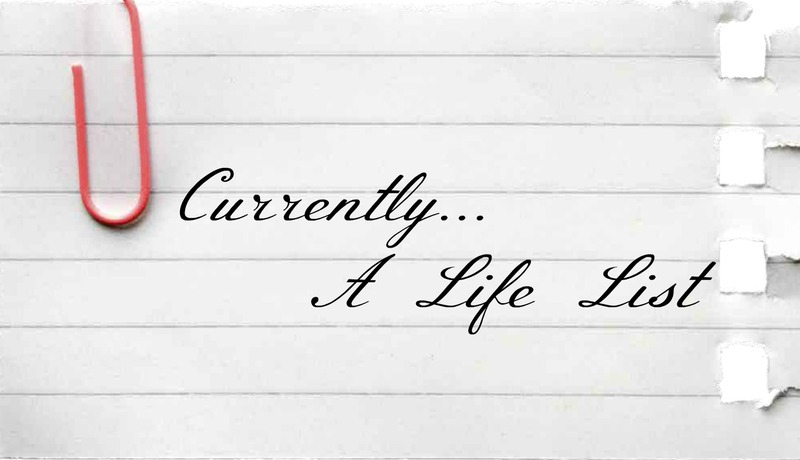 Creating...My creative outlet is still my bullet journal. And I have been keeping notes on the Bible study and have been making them a bit creative as well. Learning...It has been interesting to see how all of the Bible fits together. It certainly does not go in chronological order. And to study the lineage of the people is fascinating too. Planning....My plans, now that I am living alone, aren't made ahead of time. They follow more of a day to day basis. Sometimes even hour to hour. How do you plan? What's in the kitchen...Recently I was offered a free week with Blue Apron. So I took them up on the offer. I got my first two meals for the week delivered, on the front porch, on a Thursday in mid-July. The first meal was Seared Chicken in Coconut-Peach Broth with Bok Choy and Jasmine Rice. I had never tried Bok Choy before. This meal was delicious. It makes enough for two. So I had one for dinner two nights in a row. Next meal was Beef and Mushroom Burgers with Roasted Onion and Marinated Cabbage. This was good too. And again....lasted for two meals. Have you tried any of these delivered meals?? I have now tried another week (at an introductory cost of $26) Still a pretty good price for 4 meals. I will let you know how it goes. I think these are pretty good options for a single person who doesn't mind trying new things. 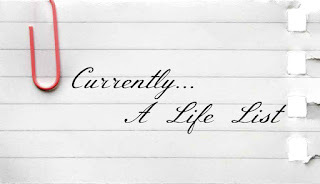 A final thought...It's been awhile since I have written anything here. And I have not been very loyal at following my friends' blogs. I usually slow down in the summer but I was reminded by a favorite family member that I may have slowed down a bit too much this summer. I will try to be better at posting regularly. Wouldn't want my family not to know what's going on, now would I? ?